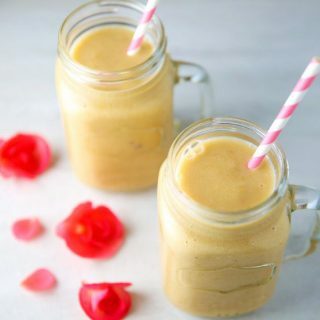 This Mango Coconut Vanilla Protein Smoothie is the perfect drink after your workout! 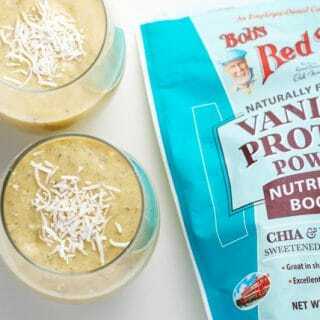 This is so smooth, creamy, and delicious. 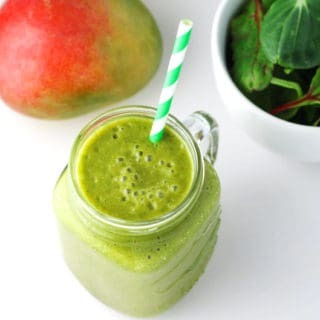 Plus it’s Gluten Free, Vegan, and Dairy Free! My latest addiction is this Mango Cauliflower “Rice” Salad. 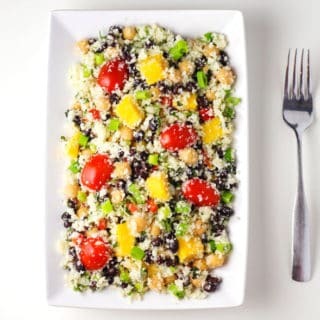 As I’m writing this I’m sitting on my deck (or lanai as they say in Florida) outside enjoying the beautiful sunshine and the warm weather while I’m shoving spoonful after spoonful of this addicting salad into my mouth. 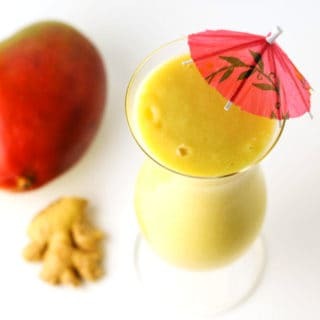 There is nothing better on a hot summer day, than sipping on a healthy Coconut Mango Ginger Smoothie. 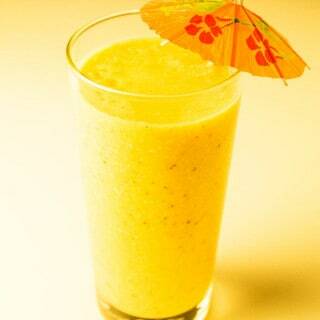 You can even serve this with a cute little tropical umbrella to make it feel like you’re in a tropical paradise! Happy New Year everyone! It’s New Year’s Day, so let’s get on with our New Years resolutions! 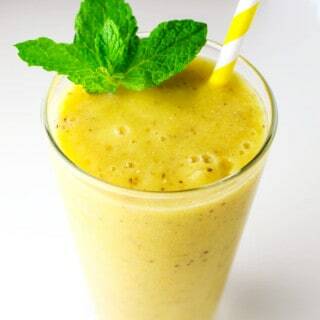 This morning I’m enjoying this Mango Mint Smoothie with Chia Seeds…Yum Yum Yum!